Explanation: The small constellation Sagitta sports this large piece of cosmic jewelry, dubbed the Necklace Nebula. 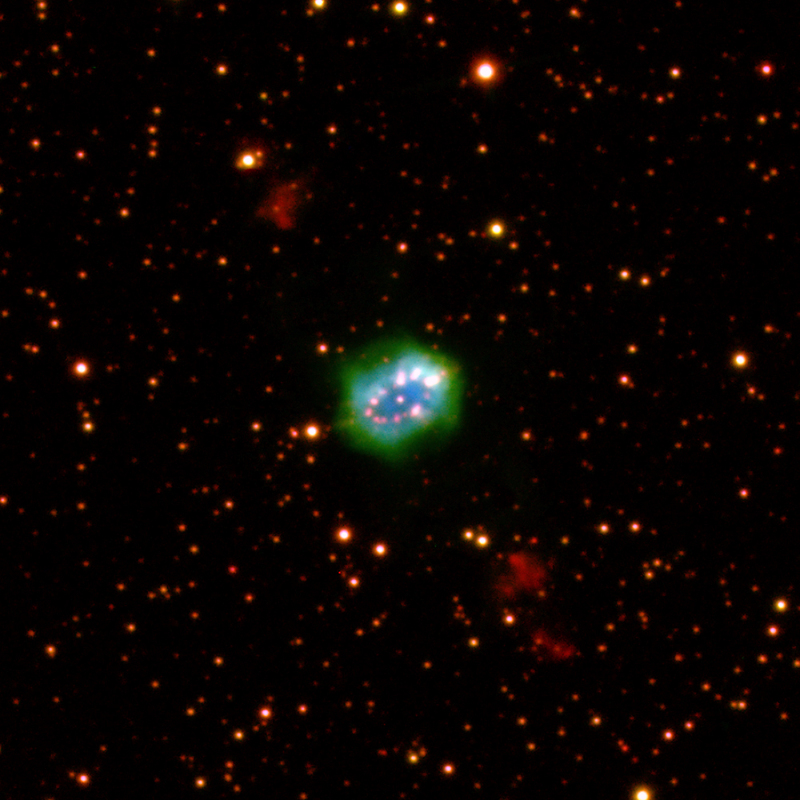 The newly discovered example of a ring-shaped planetary nebula is about 15,000 light-years distant. Its bright ring with pearls of glowing gas is half a light-year across. Planetary nebulae are created by sun-like stars in a final phase of stellar evolution. 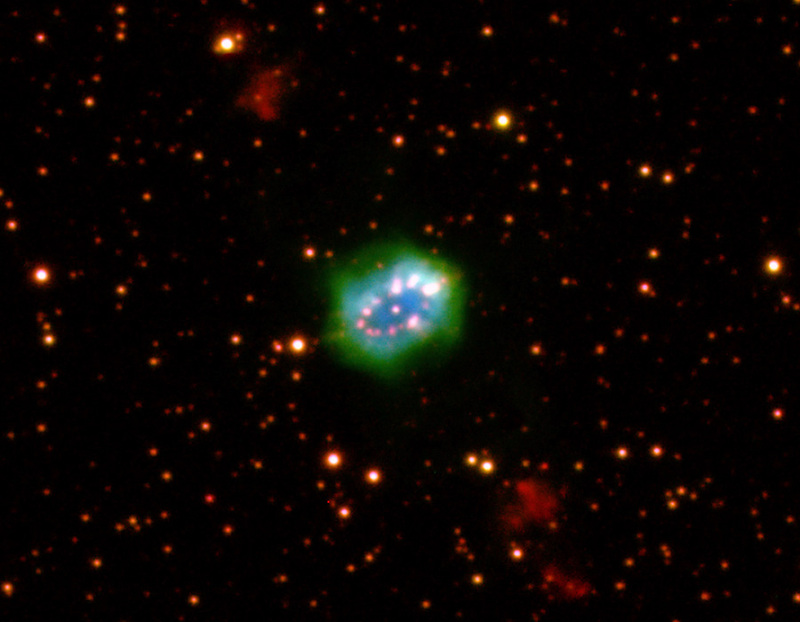 But the Necklace Nebula's central star, near the center of a ring strongly tilted to our line of sight, has also been shown to be binary, a close system of two stars with an orbital period of just over a day. Astronomers estimating the apparent age of the ring to be around 5,000 years, also find more distant gas clouds perpendicular to the ring plane, seen here at the upper left and lower right. Those clouds were likely ejected about 5,000 years before the clouds forming the necklace. This false color image combines emission from ionized hydrogen in blue, oxygen in green, and nitrogen in red.